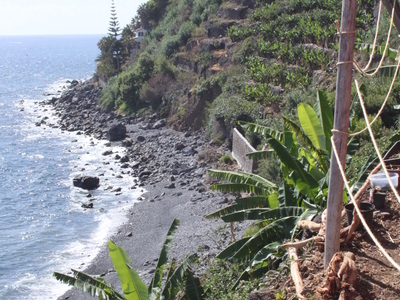 We are upgrading a place that we bought a few years ago, terraces near the sea in Ponta do Sol. 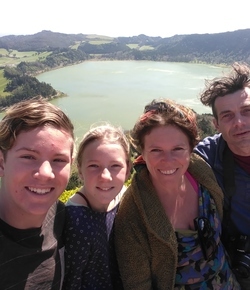 Our main house and gatden is in Ponat do Pargo, more west on the island at higher altitude.We have a garden with more than 100 differnt fruitspecies, a wide variety of vegetables and a ornamental garden. Our terraces near the sea gave us the possibility to plant more exotice species like magos, avocados ,bananas and more not so known fruits. We are build a hut and are now upgrading the spot. Toilet, shower and easier ways to water the terraces. In the beginning of the project we will be pendeling between our house and the hut, later we would like you to stay at site. It will be a ind of rough lifestyle in an exotic paradise. You will live in the middle of the elements, with basic comfort completely in harmony with nature. We are a family of four that loves to share our lifestyle and experiences here on our island. For twenty years we have been trying to find a good way to live in and with nature. The work to be done is just too much for us that is why we want to find people that can help us and can join us in enjoying!